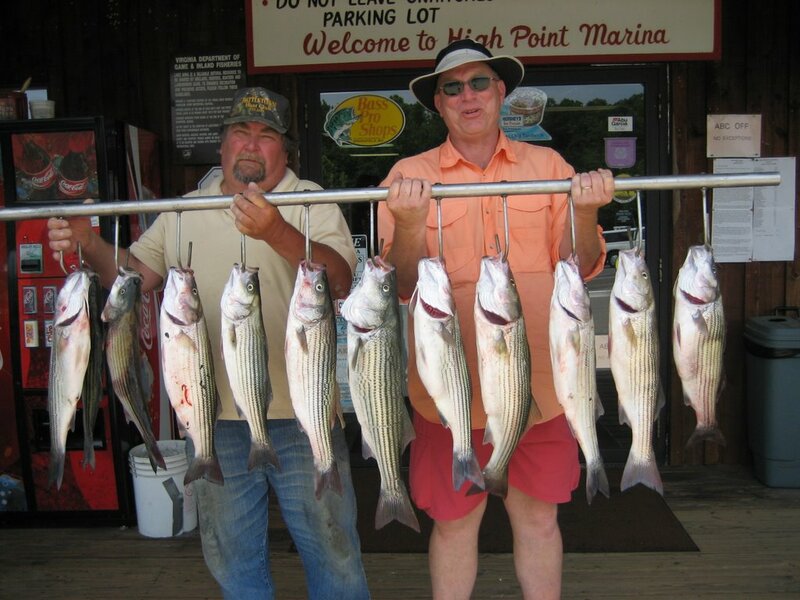 Got on the lake this morning at 2:30 and caught Herring, picked my clients up at 5:30 and went in search of Stripers. We hit 2 or 3 schools right out of the box on downlines in 30' of water . The fish bite was good until 9 am then it slow down. We went to 22' flats to finish out the morning and ended up getting 70 hits , catching 30 Stripers and Cats, clients keeping 12 Stripers. The Stripers are feeding best in the early am then seem to shut down.